Arosa boasts a sunny location in the beautiful Schanfigg Valley and the largest ski area in Graubunden thanks to its new link with Lenzerheide. Families will enjoy the peaceful location and compact size of the resort, as well as the three toboggan runs and horse-drawn sleigh rides. In total, 225 km of pistes across the Arosa and Lenzerheide areas are served by more than 40 lifts, with 70km of those pistes and a 30km freeride area on the Arosa side. Non-skiers can explore the 60km of winter walking trails, some of which lead up the mountain, or take a snow-shoe tour with the ski school. 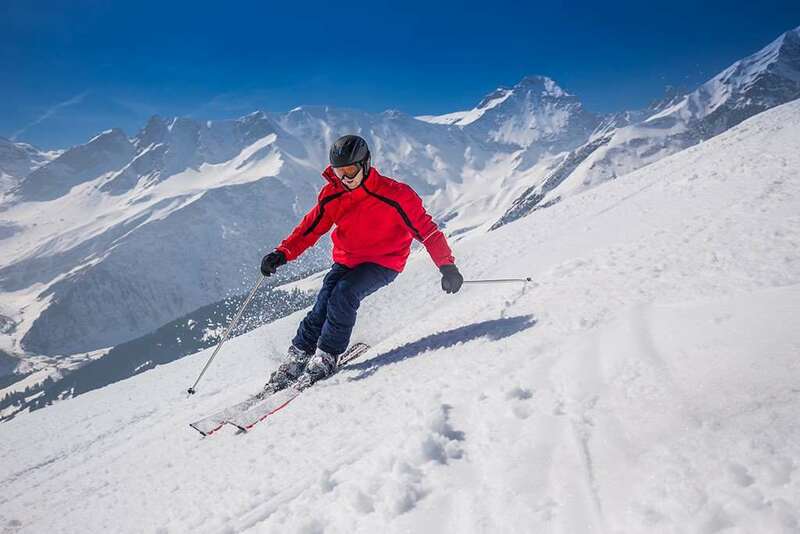 The 2014/2015 ski season will see a huge bonus for people travelling to Arosa, with a FREE ski school for children up to the age of 18, when you stay in a participating hotel for at least two nights. 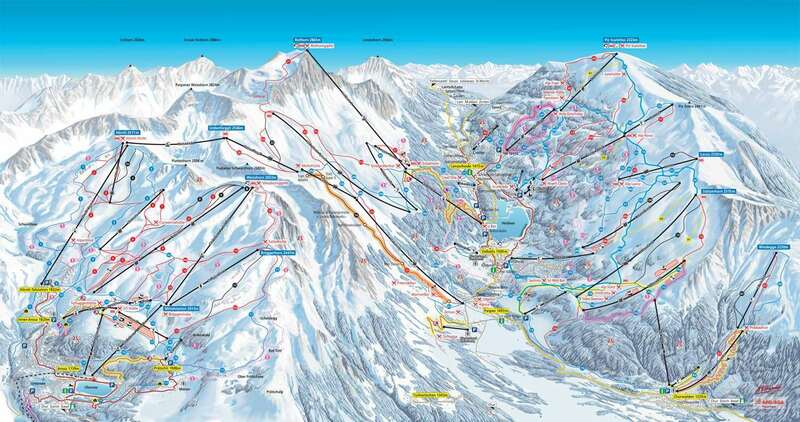 Arosa is near to the ski resort of Davos-Klosters and also Flims and the White Arena ski area, reachable by road. More than half the pistes are covered with snow making facilities which combined with natural snowfall makes for more guaranteed skiing throughout the season. The main attraction of Arosa is the other activities that are on offer, particularly for non skiers, such as winter walks on cleared paths, sleigh rides, curling and skating, all of which makes Arosa an ideal family ski holiday location. There are also 30km of fantastic cross-country ski trails on offer in Arosa. Zurich International airports is the nearest airport to Arosa around 160 km away. The resort is accessible via car but most guests prefer using rail as once you get closer to resort the roads are quite bendy and often once arrived in the village cars aren't usually needed. Being a regular skier, with a need for speed, i thought Arosa being a small resort would not compare to the likes of Avoriaz and the big french resorts, however not only is the skiing fantastic but the resort it self is a hidden gem. The train journey alone is stunning and the resort is picturesque. It doesnt take very long to fall in love with this beautiful resort. It may be a quiet little town but with very friendly locals who are always up for a chat on the bus! Arosa is expensive like all of switzerland but do great deals for students and eating in saves the pennies. The skiing conditions were perfect and despite being half term, the queues were minimal. There aren't many pistes however it was still great fun especially if you know a local who knows the secrets. The resort couldn't be more ideal for beginners though with lovely wide blues to get you started. There are also some lovely walking routes which are great to explore on an afternoon off and there are also some designated sledge routes which are great fun! There are many other activities too which will keep any non-skiier busy (great if you want to ski in peace!) Overall, Arosa has something for everyone. It has been one of the best holidays i have been on and I can't wait to get back there next year! Absolutely lovely ski holiday in Arosa. It's a magical place with many positive aspects. Nice and small skiing area, ideal for beginners and intermediate skiers with not a great deal of harder slopes for those experiences skiers. The village itself is beautiful and very picturesque. Plenty of lovely shops and other activities taking place mid-season. The sledge runs are a lot of fun and there are a number of nice bars and restaurants in town. I would highly recommend a holiday in Arosa, especially for families and lovers of gorgeous mountain views, fondue and traditional swiss alpine experiences.